● Function: Grinding outer diameter of end mill, side cutter, reamer, and drill bit. 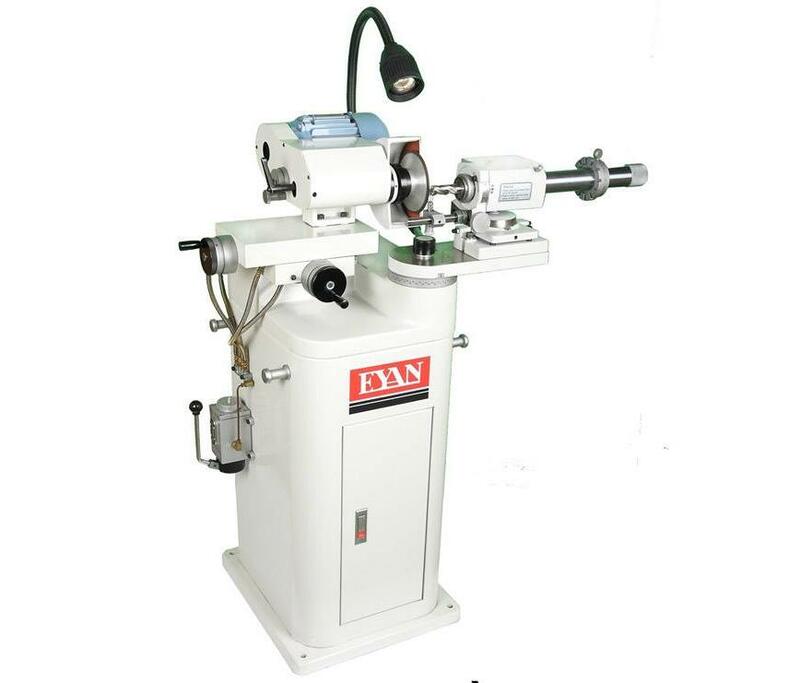 When roundness of spindle keep within 0.005mm, it can rotate lightly and operate easily. It is easy to set tools within 2 minutes. ● Manual lubrication system for slideway and ball screw. angle, debris angle and skive the drill and center point, all actions can be finished in one process. It displays a high efficiency and highly precision performance. ● Drill Bit Diameter Adjusting Button. Making adjustment depends on the diameter of drill bit. ● Adjusting button for rear bevel angle of drill.